DriverMax is the PUP that uses misleading techniques to prevent removal. Use Reimage to locate malicious components and get rid of them faster than with uninstall instructions. A full system scan blocks virus reappearance and prevents traffic to malicious domains. How can DriverMax enter my computer? How to remove DriverMax from your computer? DriverMax is a PC optimization tool, which is supposed to improve PC's performance and increase its speed. 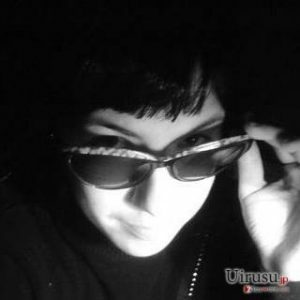 As the developers of this program claim, it is able to find outdated programs, bad registry entries and useless files that are slowing computer's speed. However, they have forgotten to mention that it won't remove these things until you don't purchase its license. After a successful installation, this program asks user's permission to start its first system scan. If it gets the permission, as initiates this procedure and then provides a list of outdated programs. Most probably, it will then offer you to purchase its license and remove these entries. Before you enter your credit card details and pay for DriverMax licensed version, you should know that its alerts may be exaggerated and displayed only for tricking you. By the way, if you decide to pay for a licensed version, you should be prepared for the redirection to the specific website that will ask you to create an account. We recommend ignoring such propositions because they may be a cause of identity theft and similar problems. By the way, if you enter your name, email, address and other sensitive information, DriverMax may start constantly sending you annoying emails offering you to download other suspicious programs. We highly recommend you ignoring emails sent by DriverMax and uninstalling this questionable application from the system. DriverMax can be found on its official site where it is promoted as a “handy Windows Update utility which makes keeping your system drivers up-to-date an extremely easy task”. It is compatible with Windows operating system, thus if you use Vista or other operating system, you won't be able to use this application. Beware that DriverMax virus may also be spread via freewares or fake updates. 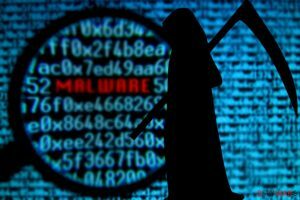 You may expect to see this suspicious program on your system after installation of Download Managers, Video Converters, fake java/flash/player updates and similar adware-type programs. Do not trust notifications suggesting you free updates for Java or Flash Player! It is always advisable to visit official site of the program and download it from there. However, 'bundling' is a very popular distribution method these days, and you may still install DriverMax or other potentially unwanted program on your computer. Therefore, you should try to pay more attention to the installation process of the freeware. Usually, installation process provides a notification that other free applications will be installed. However, if you choose Quick/Basic/Recommended installation option, you may automatically agree to install additional programs. That's why our security experts advise people to choose Advanced/Custom installation option, which allows to trace the whole installation process and decline such propositions. If you have already installed DriverMax, please ignore email messages that it generates in order to avoid identity theft and other infections. DriverMax is not a malicious program itself. However, it may pose harm to you and your computer. If you decided to remove it, follow the guide submitted below and remove this application. For automatic removal of DriverMax, you can use Reimage, Malwarebytes MalwarebytesCombo Cleaner or Plumbytes Anti-MalwareMalwarebytes Malwarebytes. This entry was posted on 2014-09-10 at 07:21 and is filed under System tools, Viruses. You can quickly scan the QR code with your mobile device and have DriverMax manual removal instructions right in your pocket. 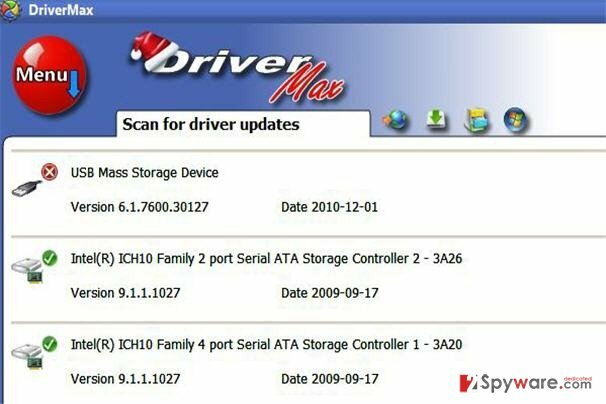 How did you remove DriverMax?